Fiction writing prompts: young adult. Young adult literature is one of the most exciting genres in fiction. Young people are bright, bold, and open-minded. More importantly, they’re going to shape the future. What they read matters. Classic young adult books like To Kill a Mockingbird, The Outsiders, and Lord of the Flies tell entertaining stories populated with compelling characters, but these stories also highlight important social questions and issues. Stories like Catcher in the Rye inspire introspection, and contemporary stories like The Hunger Games force readers to consider the future of humanity. And who can forget what is possibly the oldest and most famous young adult story in Western culture: Romeo and Juliet, the classic tale of two star-crossed lovers who are destined for tragedy? When I was a teenager, my favorite movie was The Breakfast Club. To this day, I think it’s one of the most brilliant films ever made. People often mock me when I say that. How could a movie about a bunch of teenagers spending the day in detention be brilliant, or even important, for that matter? But the film is not just about a bunch of teenagers. It’s about what it means to be human. It’s about how we are more alike than we are different. And it’s about how we treat each other. It’s about class and culture, the haves and the have-nots, and at its heart, it’s about personal growth and how our interactions with others shape who we become. And it’s a story for and about young adults. Today’s fiction writing prompts are designed for writing young-adult fiction. 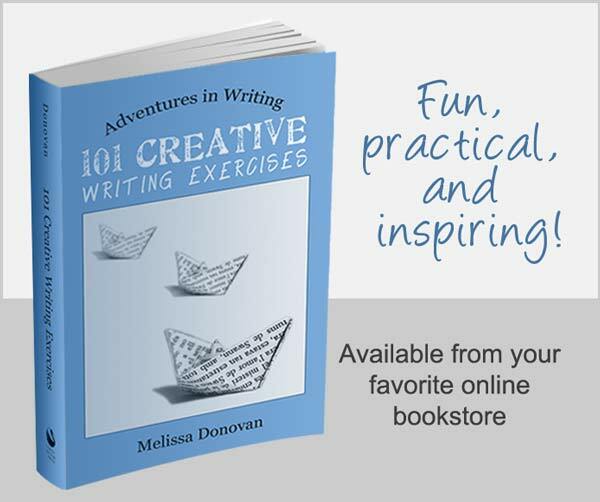 These prompts are taken from my book, 1200 Creative Writing Prompts, which includes fiction, poetry, and creative nonfiction prompts. You can use these fiction writing prompts to inspire a short story, novel, or screenplay. Mix and match them, change them, adapt them in any way that feels right to you. On the first day of school, two best friends discover a frightening secret about one of their new teachers. Four friends on a nature hike discover a deep cave, complete with running water. As they go deeper and deeper into the cave, they find strange objects—human skeletons, an old computer from the early eighties, a gas mask, and strange mango-sized orbs that emit a glowing blue light. A youngster on his or her first hunting trip has a deer in his sight and suddenly remembers the day his dad took him to see Bambi. Write a satirical story about an orphanage that is managed as if it were an animal shelter, or write about an animal shelter that is managed as if it were an orphanage. Two best friends make a pact. When they get to junior high, they grow apart, but the pact haunts them. Will they fulfill the pact they made as children? After a car accident and a minor head injury, a teenager starts having precognitive dreams. Initially, family and friends insist the dreams are coincidences, but the proof becomes undeniable when a government agency steps in. Write a story set in juvenile hall. Have you ever tried writing fiction for young adults? Where do you get your story ideas? Did any of these prompts inspire you? Share your thoughts by leaving a comment, and keep writing. Thanks, Kat! I’ve heard from a few teachers who are using prompts and exercises from my books and blog, and it’s an honor! These were really well written and will help a lot of people. You did a really good job writing this. Thanks, Coffee. I’m glad you found this helpful. Love love love that your favorite movie is/was The Breakfast Club!!! My favorite 80s movie of all times and I love that you shared this, it gives me some good ideas to start with. This genre is the one I’m currently focusing on. Thanks for your comment, Sydney. Yes, The Breakfast Club remains my all-time favorite. Such a great, underrated film.